If I could sum up my life in one page, I would. It's easy to say I have been in love with art, photography and design for more than 35 years. I am laid back and easy to get along with. I'm good at solving problems and my friends say I am reliable, trustworthy, creative and smart. It all began in elementary school, when I charged a quarter per letter to hand-letter an 8.5"x11" Old-English-style initial cap of my friend's biggest crush's name. Penny loved Bobby Thompsen? "BT" would only cost fifty cents and she could tape it to her wall or Pee-Chee for everyone to see! Do you remember Wacky Packages from Topps Chewing Gum? They included funny/gross stickers that parodied common household products and I wrote what I'm sure are award-winning poems to go along with each one and left them anonymously for my favorite teachers. I was the geeky little kid with the 110-camera always on a lanyard around her neck. Before that I actually used a Kodak Brownie! Later, I developed rolls of film in my parent's bathroom that I turned into a darkroom by shoving towels against the door cracks. The bathtub did double-duty because it was also where I taped and stretched watercolor paper to maple boards for painting. My first camera. 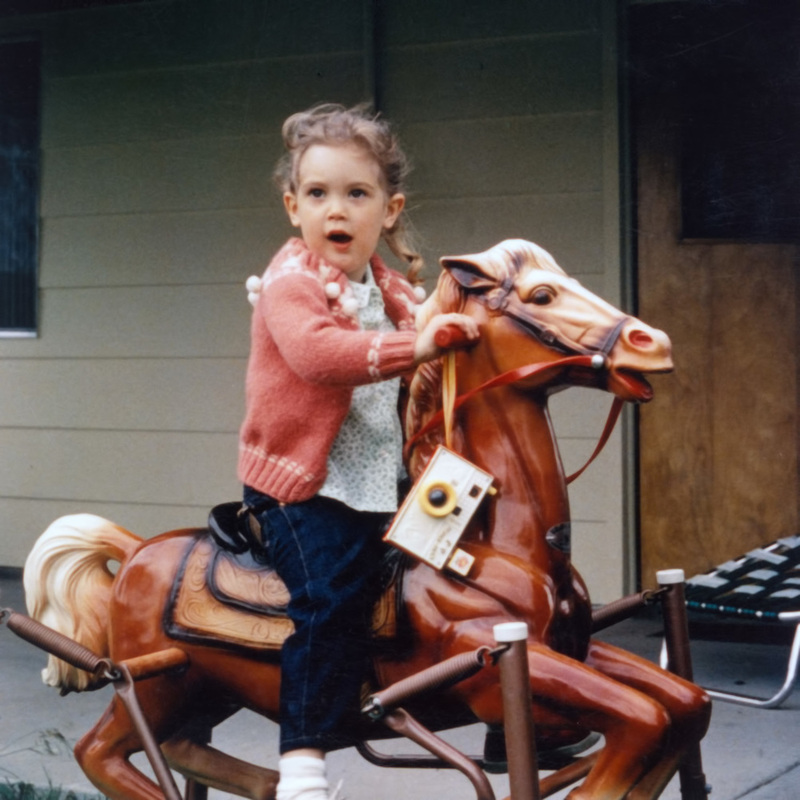 Also, my first horse. And my only horse. I built on that wide and varied creative passion with experience and combined it with my love for fresh, artistic style and have never looked back. In 1990 I earned a Bachelor of Arts in Graphic Design and Photography and have since worked full time at both. I've laid out newspapers and advertising, done hand-lettering for VPOTUS events, art directed magazines, designed counted cross-stitch patterns for embroidery companies and scrapbook products for the craft industry. I consider myself a jack-of-all-trades, but master of none because I think you're never too good, or too old, to learn something new. I take pride in keeping everything I do real, modern and meaningful and use my tools to capture a little slice of life that, if you're listening, will tell you an amazing story. Please do not use content from this site without asking and receiving my permission. It isn't hard to get and is significantly cheaper than forgiveness. Just let me know what you'd like and I'll do my best to accommodate you.